A wide range of sticks are available to support garden flowers and fruit such as dahlias and tomatoes. 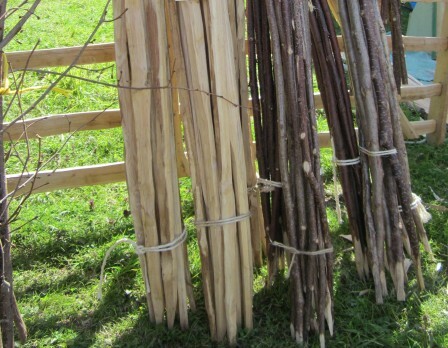 Order early from your coppice worker, sticks can be purchased either in the round or cleft, graded and bundled to a variety of sizes. Coppiced flower sticks make an attractive and sustainable alternative to imported sticks and make great kindling at the end of the year.